Tuesday Photo - kids on mailbox, Greenwich Village, NYC, 1985 "I shot about three quick photos and it was only when I later saw the contact sheet (no immediacy of digital back then) that I noticed I captured a perfect composition. I call this one 'No Parking Sunday'" Jeff Rothstein. Tuesday Photo – kids on mailbox “I shot about three quick photos and it was only when I later saw the contact sheet (no immediacy of digital back then) that I noticed I captured a perfect composition. I call this one ‘No Parking Sunday'” Jeff Rothstein. 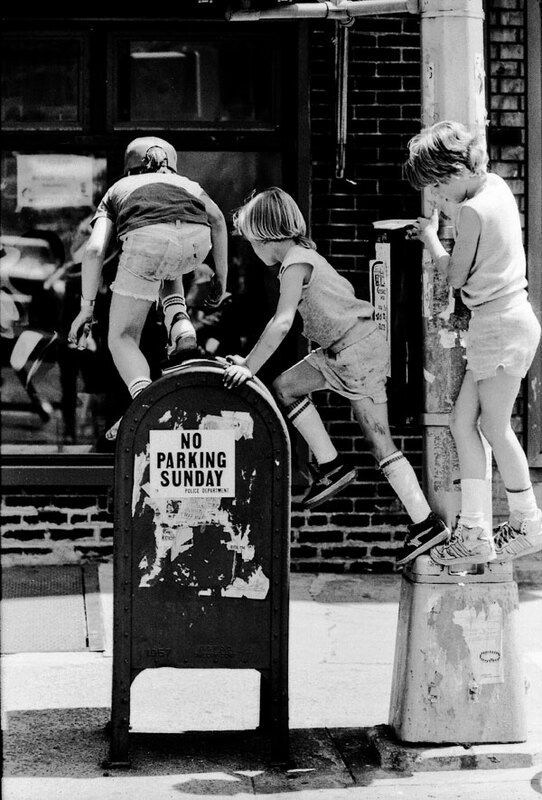 ‘No Parking Sunday’, Greenwich Village, NYC, 1985 – ©Jeff Rothstein. ‘You (Jeff Rothstein) transform black and white urban figures into a magical, poignant, at times, nearly abstract, network of expressive bodies, evoking their time and space. The vividness and spirit of the NY street scene come alive. I think your street shots are brilliant — appearing casual, but, in fact, filled with a paradoxical magnitude of intimacy combined with historical empathy.’ Robert Morgan, art historian, and critic. Congratulations to Jeff. His photo book ‘Today’s Special: New York City Images 1969-2006′ – 48 black-and-white images with an essay by critic Robert C. Morgan – was recently purchased by the prestigious Metropolitan Museum of Art’s, Watson Library, NYC. 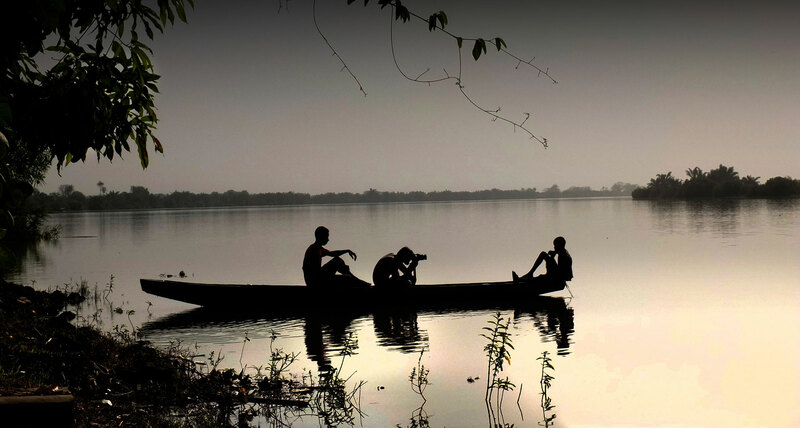 Please check our more Photographers We Love, here on the gallery site.